Back in April, the Museum of Modern Art (MoMA) brought an NYC café and gallery by the name of MoMaCha to the attention of the US District Court for the Southern District of New York. MoMA has since been granted preliminary injunction against MoMaCha. The café has been ordered to stop all use of the trademarks ‘MOMA’ and ‘MOMACHA’, which it had filed while being aware of MoMA’s existence, the court surmised. 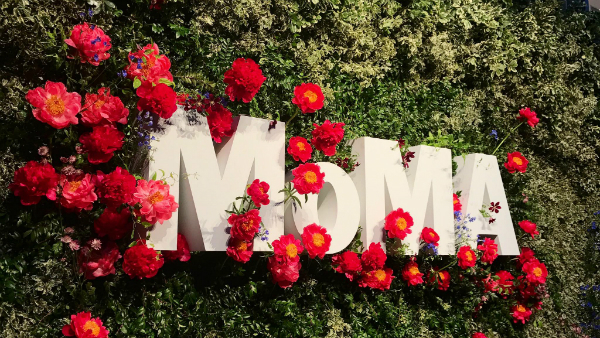 The court wrote that MoMaCha’s use of the trademarks would create “a likelihood of customer confusion” with the trademark of MoMA, which is also located in NYC. Further, due to the nationwide recognition of the museum’s branding, the court found that MoMA would likely qualify for preliminary injunction over the claim of dilution. Not only was its name similar, but its black-and-white Helvetica logo was also “almost identical” to that of MoMA. In one instance, a social media user was wrongly believed into thinking that a cannabis-laced beverage from MoMaCha was associated with MoMA. Morrison & Foerster, the law firm representing the museum, told DesignTAXI that an artist who had apparently found their work misappropriated by MoMaCha also contacted MoMA to point out similarities in the marks of both brands. MoMaCha has since dropped the ‘o’ in its name and rebranded to ‘MAMACHA’.